Piriformis disability is an incredibly rare consequence of severe symptoms and may involve misdiagnosis of the underlying cause of pain. 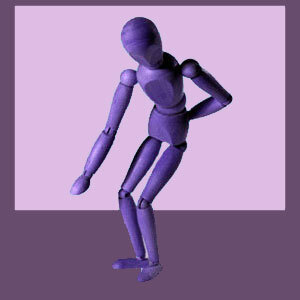 Disability is virtually never seen in primary piriformis patients, despite some suffering severe expressions of pseudo-sciatica. Usually, the only cases of temporary disability that are logical are those involving direct, significant injury to the piriformis muscle, including very extreme cases of tissue detachment. Disability is generally defined as the inability to function up to the minimum standards needed to live normally for an extended time frame. Legally, in relation to eligibility for social benefits, disabled people must be completely unable to work or provide for themselves for long periods of time. This is rarely the fate of even the worst cases of piriformis syndrome or injury, since even severe manifestations can generally be resolved with appropriate care. This essay explores the uncommon occurrence of physical disability in relation to a piriformis diagnosis. Technically, anyone who suffers a reduction is functional capacity is disabled to some degree. In fact, most of us suffer transient disability from many occurrences throughout our lives. However, this type of temporary minor limitation of our full physical potential is not the subject of this essay. Instead, we are discussing long lasting and virtually complete disability that prevents affected patients from living normally and providing for their basic needs. Severe flare-ups of piriformis pain can certainly keep a person home from work or school on occasion or limit their physical exertion. This is normal. However, it is very uncommon for the condition to become so disruptive as to prevent people from holding a job, continuing their education or staying healthy. When any of these consequences does occur, the person can certainly be considered disabled to a significant degree. Severe injury to the piriformis might make it impossible for the person to walk or perform any real physical activity with the affected leg until the condition has healed. Most soft tissue injuries will not produce such dire effects and those which do will usually only be acutely painful for a few days to a week or two. Full detachment of the piriformis might necessitate surgical re-attachment and rehabilitation, which can disable people for several weeks to a couple of months. Muscular imbalances can be chronically painful, but respond well to treatment and rarely become significant health issues. We have never seen a piriformis muscle imbalance condition which resulted in disability. Piriformis syndrome is usually a persistent problem, but does not often produce symptoms that are truly disabling. We have seen a few patients who claimed to be disabled with piriformis syndrome, but in all the cases we have studied, either the person was incorrectly diagnosed and was found to be suffering from some other more significant heath issue or was simply malingering, usually for some expected gain (secondary gain and consciously-motivated; not primary gain and subconsciously-motivated). However, we will stop short of saying that the most severe cases of piriformis syndrome can not disable, since in theory they might. We just have never actually seen it occur. Legal disability claims due to piriformis syndrome are very rare. Virtually all piriformis conditions are considered curable and therefore, patients would need to undergo a wide range of treatments and surgery in order to qualify. There are impediments to inclusion of piriformis syndrome as the cause of disability in most large countries that provide benefits for chronic pain sufferers. Additionally, since piriformis syndrome can be cured in virtually every case, we do not know why anyone would want to accept this fate of disability. It would be far more productive to work on achieving a real cure by becoming more proactive in your own care, seeking a new diagnostic opinion and exploring new options for treatment. As an example, we have seen many patients who claimed to be incurable, citing having tried all the usual practices and treatments, including drugs, manipulations, exercises, injections and even surgery. However, regardless of how many times treatment failed, it never occurred to these people that they might have been misdiagnosed. When we became involved in their care, all were found to be suffering from either some other structural problem that was never discovered or addressed, or were affected by a mindbody pain syndrome. All were cured using appropriate methods of care that actually matched their correct diagnosis and did not have to claim disability. We strongly suggest that patients who match this description also reconsider the validity of their diagnosis, since this is virtually always where the problem resides.